Spend a couple of days with this British subject and you'll understand why we call her Sweet Alice. 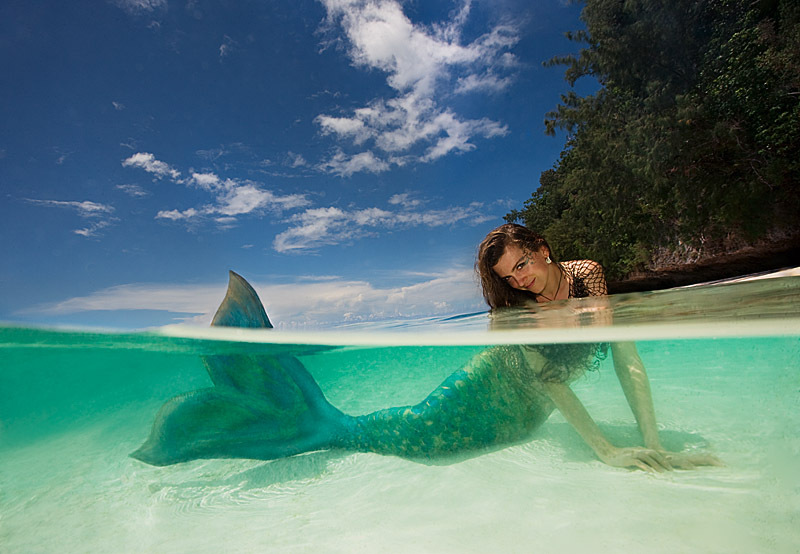 Such a nice MerPerson. Pictures almost always need the alignment of many stars to be successful. Our first bright star was the location, Ulong Island in Palau, Federated States of Micronesia (we shot on the beach and island where an early Survivor TV show was taped). Then, we needed the right weather, some calm water and minimal foot traffic. Alice had to be dialed into things-of-Mer. And, all the mechanical, electrical and digital things had to work on one of the most isolated places on the planet. All things came together and this is the result.